Last month, Haas team boss Guenther Steiner caused a furore among American racing drivers when he claimed that were no American drivers ready for F1. Leading the attack on the Italian following his comments was race legend Mario Andretti, who said Steiner was "wrong and arrogant", while Graham Rahal said: "American drivers are damn good. I stand by that, there's lots of talent here. Stay in IndyCar, it's far more competitive anyway! "Always funny the Haas team mentality," he added. "'Americans aren't good enough', yet they haven't even given us a shot. Not worth our time." 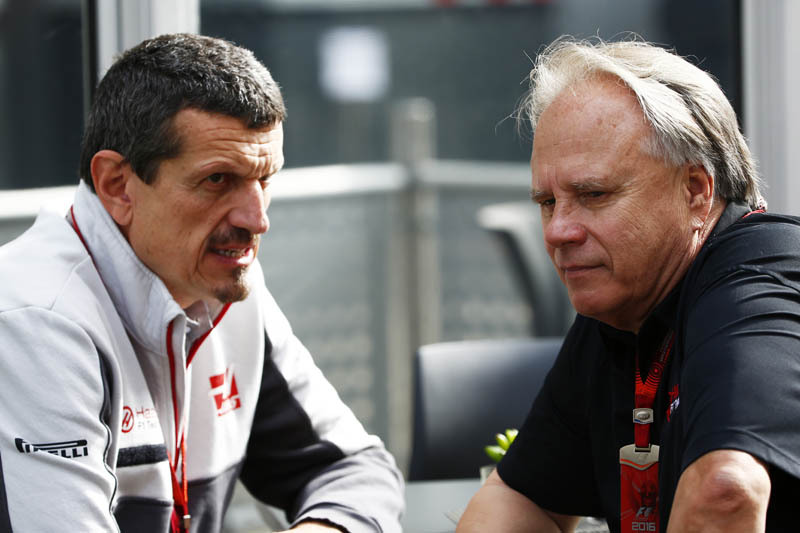 Asked about Steiner's claim, Haas said: "Guenther was asked about having an American driver in Formula One and, more specifically, with Haas F1 Team. He responded by saying something to the effect that it wasn't at the top of our priority list, and things kind of took off in a bunch of different directions as people made a bunch of assumptions. "The fact is that we're still learning here in Formula One," he continues, "and bringing on a driver who needs to learn about Formula One probably isn't the best thing for us or them. "I felt like there were times last year where our drivers were better than our cars," he admits. "So, we need to step up, but we know where we need to improve thanks in large part to the experience of our drivers. "We're not saying no to having an American driver, but the reality is that of the American drivers who have a superlicence and could actually compete in F1, they should really be with a team that can serve as their benchmark rather than the other way around. "Now, we fully expect to eventually be in that position – ideally, sooner rather than later – but this is only our third year and we need to improve in a variety of areas, and Romain Grosjean and Kevin Magnussen are playing a big part in that improvement because of their experience. They help us, rather quickly, determine if the course we're taking is a proper one or if we need to re-think our approach. That experience is invaluable as we look to become a team that can eventually challenge for podiums instead of just points. "This debate about American drivers really isn't a debate," he insists. "I believe in American drivers... my NASCAR team is full of them, and we've won a lot of races and championships. "Obviously, the discipline is different, but sure, there are competent American drivers who can compete in Formula One. But we're not ready for that yet, and with the limited amount of testing teams have, getting anyone up to speed who hasn't already been a part of a development program would be hard. I think that's the point Guenther was trying to make." Race promoters to put further squeeze on F1 teams?